On Tuesday 30 October we resume our opposition to the applications of the Secretary of State for Defence to deregister the extensive Warcop commons(1). The applications, if granted, would cause Burton, Hilton and Murton Fells, in the Cumbrian North Pennines Area of Outstanding Natural Beauty, to cease to be common land after centuries—perhaps even a millennium or more—of commoning tradition. This threatens to be the largest inclosure(2) of commons since the major inclosures of the eighteenth and nineteenth centuries—and it is unclear and ominous why the landowner, the Ministry of Defence, wishes to proceed with this. The society, along with the Foundation for Common Land, the Friends of the Lake District, local commoners and parish councils, is opposed to the applications, and believes them to be entirely unnecessary. The applications, made by the Secretary of State for Defence in February 2015 to Cumbria County Council, are further steps by the Ministry of Defence to increase its control over the Warcop commons and erode customary hill-farming practices. In 2003, the Secretary of State paid out over £7 million to the commoners to extinguish their rights of common—rights which had exercised over many generations by hill farmers in Warcop and neighbouring areas. 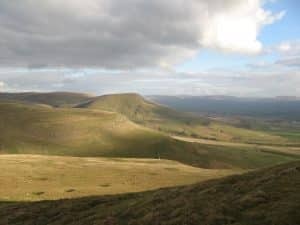 The Secretary of State said that the compulsory purchase of the rights was necessary to afford it greater and more flexible use of the Warcop commons as part of the danger area lying above the ranges. At the time, the Secretary of State gave a commitment not to deregister the Warcop commons (that is, not to remove them from the register of commons held by the council) even though the rights had been terminated. When the inquiry resumes(3), the inspector Alan Evans will hear evidence about whether the Warcop commons, amounting to around 45 square kilometres (about 17 square miles), had ceased to be ‘waste land of the manor’ when the rights of common were extinguished in 2003—this means that the Secretary of State must show that the commons were no longer characteristic of typical upland commons, and that they had ceased to be ‘open, uncultivated and unoccupied’. The Secretary of State says that he now ‘occupies’ the commons; the society argues that the commons are now more desolate and unoccupied than at any time in recorded history—and that if the Secretary of State is correct, there is not a common left in England which remains ‘waste land of the manor’. Hugh Craddock, one of our case officers, says: ‘It beggars belief that the Ministry of Defence continues to pour taxpayers’ money into pursuing paper changes to its management of the Warcop commons. It spent £7 million in 2003 on buying out the rights of common, plus far more on legal and professional advice, and holding a public inquiry into the compulsory purchase. Even so, it gave an undertaking not to deregister the common—but now it has resiled from its undertaking, and has come back for what’s left: the registration of the land as common land. The society is represented at the inquiry by counsel, George Laurence QC and Ross Crail of New Square Chambers, who are acting for the society on near pro bonoterms. 1 The three registered Commons are Hilton, Murton and Warcop. The applications to Cumbria County Council are listed as CA14/3 -CL26 Murton; CA14/4 -CL27 Hilton Fell; & -CL122 Burton Fell and Warcop Fell. 2 ‘Inclosure’ occurs when land ceases to be common—it does not necessarily involve enclosing the land with fences, walls and hedges. Many commons were inclosed by parliament in the eighteenth and nineteenth centuries, involving both ‘inclosure’ and ‘enclosure’. 3 The inquiry will resume on 30 October 2018 at Kendal County Hall, Busher Walk, Kendal LA9 4RQ. The inquiry opened on 13 September 2018, presided over by Alan Evans, a barrister, to consider the applications and advise the council whether they should be granted. After two days of deliberations into whether the council has any power to grant the applications, the inspector adjourned the inquiry until 30 October. 4 The Ministry of Defence says that the Commons Act 2006 changed the legal landscape affecting the Warcop commons. Its two principal contentions are that the 2006 Act means that ‘works’ on the commons would require the consent of the Secretary of State for the Environment, Food and Rural Affairs, and that there is the threat of the designation of a commons council, which could interfere with management of the commons. But section 43(5) of the 2006 Act provides for land to be excluded by order from controls on works, and specifically was put in the Act with Warcop in mind. So far as we know, no such order has been sought. The Ministry is correct that a commons council may be established for any area of registered common land. But the Warcop commons have no commoners, the Ministry would have control of any council, Defra (the establishing department) has no resources to establish new councils and its priorities lie elsewhere anyway, the decision to establish a new council for Warcop would be a matter for decision in cabinet committee, and (however unlikely) if one was established, collective responsibility requires that the decision to establish the council is a matter of Government policy which cannot be contrary to a department’s interests.